Welcome to our May Liverpool social event where you can meet other assistants with welcome drinks and canapés and some friendly informal networking at Holiday Inn Liverpool City Centre. Please register at bottom of page. If you haven’t attended an event before please use code guestpa for your complimentary place. We are delighted to have Clarins Beauty and Counter Bar from John Lewis giving us taster mini spa treatments and demonstrations of skincare and colour with the chance to browse over and buy the products available. An exclusive gift with purchase of 2 products. An exclusive offer for our beauty bar usually £25 per treatment – we will be offering 2 treatments for £40 so why not share this offer with a friend? 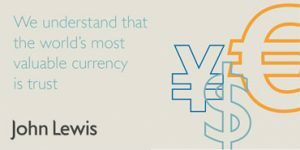 At John Lewis, our commitment to being Never Knowingly Undersold also includes our foreign exchange rates. Enjoy a Price Match guarantee on over 30 currencies available in our new Bureau de Change at Customer Support. Get your money, today. The PA Hub are delighted to be working with Holiday Inn Liverpool City Centre so please join us for Prosecco and Canapés. There will be a prize draw to finish including an overnight stay with breakfast for 2 people at Holiday Inn Liverpool City Centre. Accessible by M58, M57 & M62 motorway network. Follow signs towards Liverpool City Centre. As you approach the City follow route to Lime Street Train Station & St Johns Shopping Centre. Hotel is located opposite Lime Street Station and next to St Johns Shopping Centre. 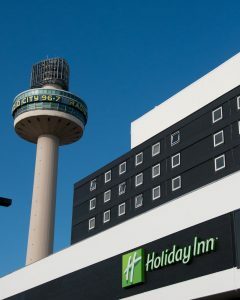 Adjoining the Holiday Inn Liverpool City Centre is St. Johns Shopping Centre, containing over 1,000 secure spaces. Access to the St Johns car park is off Lime Street, next to the Hotel and directly opposite the front of Lime Street Train Station. Our recommendation would be to approach the entrance to the parking facilities down Skelhorne Street, Liverpool (L3 5XX). Turn right at traffic lights at the base of Skelhorne Street and verge off immediately left to go up the ramp to the car park. Once parked, follow the signed route from car park floor 1 to the entrance of the Holiday Inn. It couldn’t be easier…. 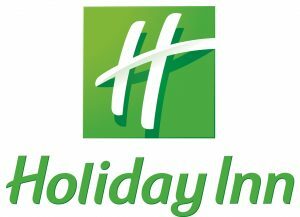 Holiday Inn Liverpool City Centre is located directly opposite the front of Lime Street Train Station. Our networking is easy-going and friendly. If it is your first visit you will be introduced to others so you don’t have to worry about being left standing on your own. This is a forum to meet other peers from your profession in a relaxed atmosphere while learning and developing at the same time. If you haven’t been before use code guestpa to gain a free place to try us out.